The Passion Trust is a registered charity that supports performances of Passion Plays and biblical drama in the United Kingdom. Passion Plays, often free performances in city centres, are an important part of Easter celebrations for many communities. Together these performances attract crowds of people in the thousands and they are regularly featured in national and regional newspapers. 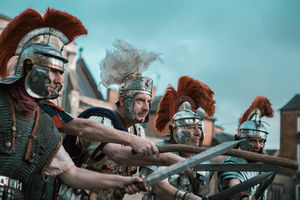 The Passion Trust are working towards a Passion Play promenade performance, processing through Birmingham and ending up at The Cathedral grounds the week before Easter 2019. We hope to have music composed and a community choir and cast from churches together in Birmingham. 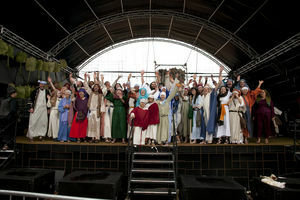 Passion Plays give people who don’t know the story of Easter the chance to find out who Jesus was and what he did. The Gospel account is brought to life on the streets for all to see. 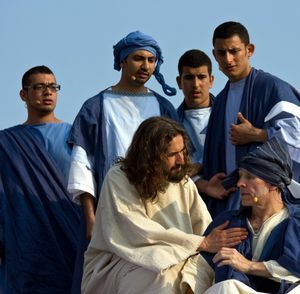 They are fitting performances during Easter to focus attention on the real reason behind the eggs and chocolate: Jesus’ life, death and resurrection, which is the centre of the Christian faith and hope.